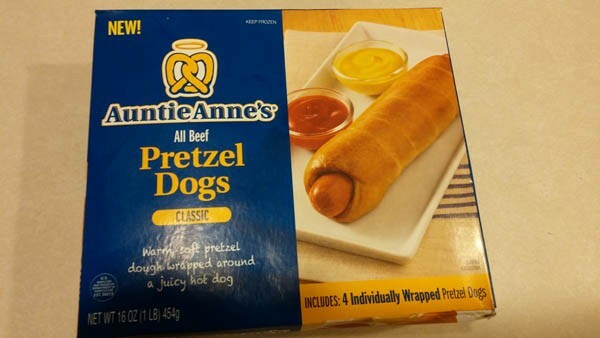 July is National Hot Dog Month, and while I don’t normally review items sold in grocery stores, I’m making an exception because Auntie Anne’s, a mall chain that sells all things pretzel, has decide to start selling their product in stores. A box of 4 pieces retails for about $5.79, and can be found at many of the most popular grocery stores. Auntie Anne’s gave me a complimentary box to try. I am not a huge hot dog fan, but I do love a good barbecue during the summer. 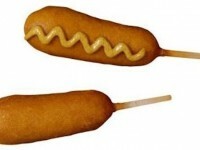 I do not like corn dogs, so I was not sure how I would feel about another similar item. The instructions on the box allow the option of cooking in the microwave over cooking in an oven. I opted to use the oven for the best, most true pretzel dog experience. The actual hot dog was very juicy and flavorful. Being on the west coast, I have only heard about how delicious Nathan’s famous, all-beef hot dogs were. These are a little thinner and longer than a typical hot dog I might find at the grocery store. They did have slightly more salt than I would have liked if I was just eating them plain, however I think Auntie Anne’s was able to balance out the saltiness of the hot dog with the wrapped pretzel. 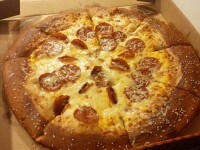 The pretzel bread was just the right texture that I like to see in a soft pretzel. It was a little crunchy on the outside and a little spongier on the inside. 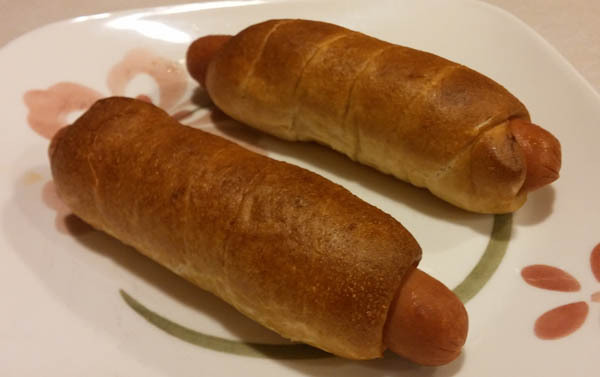 The dough got a little wet around the hot dog. With as much juiciness as this hot dog was emitting, I can understand the difficulty of keeping the bread more dry. 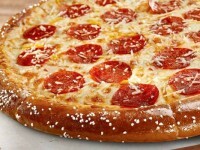 The pretzel flavor was also very good. The pretzel flavor was a bit more mild than I would have preferred (it was more “bready”) but the pretzel flavor still came through really well. 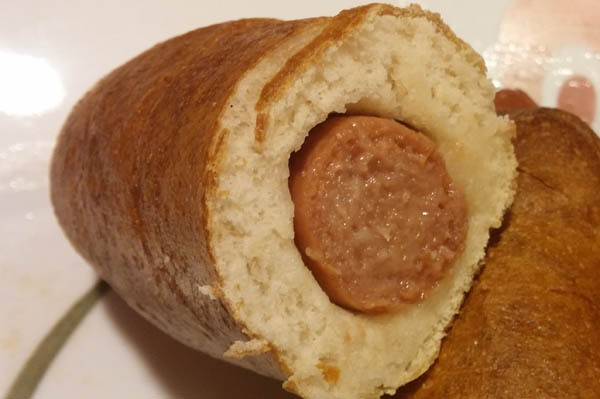 The combination of the hot dog and pretzel wrap worked really well. I think Auntie Anne’s nailed the ratio between hot dog and pretzel dough. I think the combination of juiciness from the hot dog and texture of the pretzel really worked well together. These would be delicious plain, but I also tried them with mustard for the full experience. In my reviews, I also like to mention the value, not just the taste. Auntie Anne’s Pretzel Dogs are pretty big. With 4 pieces, that puts each pretzel dog at $1.44. That isn’t bad at all. For a snack, I think just one of these pretzel dogs is filling, and two would make a meal, so I think the price was pretty close to what I would expect. 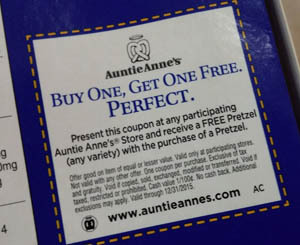 Another thing I noticed was the box had a coupon for a Buy One Get One pretzel at any Auntie Anne’s retail shop. Some of the Signature Pretzels at Auntie Anne’s can cost around $2.99, so that is a great coupon, and make the value of the entire package even better. Overall, Auntie Anne’s Pretzel Dogs were the perfect combination of juicy hot dogs and pretzel dough. These would make a fantastic summertime snack, especially during National Hot Dog Month.